Houston can get extremely hot during the summer months and the best way to cool off is with a family pool. A pool instantly adds more appeal to your home and gives you a wonderful outdoor space for relaxing and taking a dip. When you are ready to consider creating a cooling off spot for your family you can get the help you need from professional pool builders in Houston. They have the experience and expertise to convert your dull backyard into an incredible outdoor oasis for you and your family and friends to enjoy. There are several things you will want to consider when you choose pool builders in Houston. Experience is one of the most important factors. You want to choose a company that specializes in pool installation and maintenance. This means that you will get the most professional and up-to-date services available. It is helpful to view some of the examples of pools that have previously been installed. This will not only give you a good idea of the type of work that the company does but it also gives you some helpful design suggestions. You also want to make sure that the pool you choose is within your budget. There are many affordable pool options to choose from. One of the most important decisions you must make is whether you prefer an in ground pool or an above ground pool. There are advantages to both types so the choice is up to you. An above ground pool may take up less space than an in ground pool. In ground pools are a permanent commitment whereas an above ground pool may be able to be dismantled in the future if you no longer want the pool. It is important to know the local codes in your neighborhood because different types of pools might have different requirements. There are also safety rules that you must follow such as installing a fence around the pool area to keep children from wandering in. The installation of an above ground pool is often less time-consuming than an in ground pool. To begin the process it is best to discuss the options with qualified pool builders in Houston. An experienced pool company provides a variety of services including installation, maintenance and service of in-ground and above ground pools. You can view some of the options including photos of actual pools that have already been installed. These photos will give you some ideas for the type and style of pool that you prefer. A pool company representative will meet with you to answer your questions and show you some of the many choices that are available. 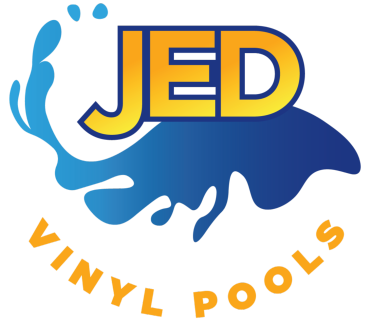 At JED Vinyl Pools we are a well-experienced pool company serving Houston and surrounding areas. We specialize in vinyl pool installations and servicing for both above ground and in ground pools. We provide a variety of services and are here to help you choose a pool that fits your needs and your budget.